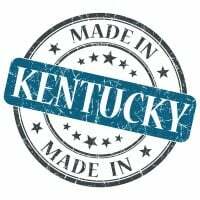 Kentucky Interpreter Insurance. If you are an interpreter, then chances are you're the person professionals call on when they need to translate verbal or written communications from one language to another. As a translator you're hired by individuals, corporations, lawyers, government entities and even medical professional to translate speeches, interviews and other forms of communication into another language. Although this job may seem simple, there are many risks involved. For instance, if there's an error in something you translated or you cause damage to a business with your errors you make you can be held liable. For this reason, you must have protection. In this post, we'll take a look at some of the risks and the types of Kentucky interpreter insurancepolicies you can get to protect your business. Kentucky interpreter insurance protects your translation business from lawsuits with rates as low as $27/mo. Get a fast quote and your certificate of insurance now. Commercial General Liability Coverage - A client can always sue you if they are injured while on the premises of your business. With this coverage, you get a broad range of protection against lawsuits made against you by a third party for bodily harm or property damage. Commercial general liability insurance covers any cost associated with any harm done by your business. If you have to pay medical bills or replace damaged property this insurance will help you. In the event, you're sued then having this Kentucky interpreter insurance helps with the costs associated. Having KY commercial property insurance protects the building and the contents in those buildings that you use for your business. Your computers, office furniture, and other office supplies will be covered when you have this insurance. Any property damaged by fire, severe weather, theft or vandalism is repaired and quickly replaced with this type of insurance coverage. Interruption coverage is also a part of this protection. If there is ever a time in your business where you are unable to operate for a period because of relocation or some other issue you are covered when you have this insurance. When you are translating it your job to get the accurate translation to the person or company that needs it. If you make a mistake, then you can be held liable for the damages caused. With interpreter professional liability insurance (also now as errors and omissions), you'll have protection if a client sues you for negligence. This coverage helps with legal defense fees, settlements, and judgments. 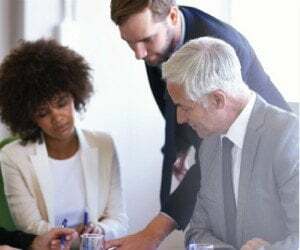 Speaking with an experienced insurance agent will provide you with the information you need to find the right Kentucky interpreter insurance policies for your business. KY Commercial Auto Insurance - Vehicles you use for your business needs to be covered. While driving on the road, there is always the risk of getting in an accident. When you are an employee of your business causes damage to a third party while using a business vehicle you can be held liable. Luckily with this type of insurance in your business, you will be protected. KY Workers Compensation Insurance - Workers comp is required in most states for any non-owner employees. While on the job there's always the chance of an employee being injured. If they need medical attention because of the injury, they will be covered when you have this insurance. Request a free Kentucky Interpreter Insurance insurance quote in Alexandria, Ashland, Barbourville, Bardstown, Beaver Dam, Bellevue, Benton, Berea, Bowling Green, Brandenburg, Cadiz, Calvert, Campbellsville, Carrollton, Central, Cold Spring, Columbia, Corbin, Covington, Crescent Springs, Crestview Hills, Crestwood, Crittenden, Cynthiana, Danville, Dawson Springs, Dayton, Douglass Hills, Eddyville, Edgewood, Elizabethtown, Elsmere, Eminence, Erlanger, Flatwoods, Flemingsburg, Florence, Fort Mitchell, Fort Thomas, Fort Wright, Frankfort, Franklin, Georgetown, Glasgow, Graymoor-Devondale, Grayson, Greenville, Harrodsburg, Hartford, Hazard, Henderson, Highland Heights, Hillview, Hodgenville, Hopkinsville, Hurstbourne, Independence, Indian Hills, Irvine, Jeffersontown, La Grange, Lakeside Park, Lancaster, Lawrenceburg, Lebanon, Leitchfield, Lexington-Fayette, London, Louisville, Ludlow, Lyndon, Madisonville, Marion, Mayfield, Maysville, Middlesborough, Middletown, Monticello, Morehead, Morganfield, Mount Sterling, Mount Washington, Murray, Newport, Nicholasville, Oak Grove, Owensboro, Paducah, Paintsville, Paris, Park Hills, Pikeville, Prestonsburg, Princeton, Prospect, Providence, Radcliff, Richmond, Russell, Russellville, Scottsville, Shelbyville, Shepherdsville, Shively, Simpsonville, Somerset, Southgate, Springfield, St. Matthews, Stanford, Stanton, Taylor Mill, Union, Versailles, Villa Hills, Vine Grove, Walton, West Liberty, Wilder, Williamsburg, Williamstown, Wilmore, Winchester and all other cities in KY - The Bluegrass State.